Barnes & Noble Inc (BKS.N), operator of the largest U.S. bookstore chain, reported a better-than-expected rise in sales at stores open at least a year, helped by higher demand for toys, gifts and other non-book merchandise. The company, whose total sales now have fallen for seven straight quarters, has been trying to attract shoppers by expanding its offerings to include merchandise such as toys and craft brewing kits, as well as signed books and made-to-order books for kids. Sales at retail stores open at least a year - which exclude the company's Nook e-reader business - rose 1.3 percent in the third quarter ended Jan 30. Analysts on average had expected a rise of 1 percent, according to Consensus Metrix. However, total sales fell 1.8 percent to $1.41 billion, in part due to lower online sales and store closures. 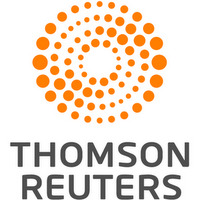 That was in line with the average analyst estimate, according to Thomson Reuters I/B/E/S, but earnings per share fell short of expectations. Stiff competition from online retailers such as Amazon.com Inc (AMZN.O) has hurt sales at Barnes & Noble's brick-and-mortar bookstores, while demand for Nook products remains weak. Sales in the Nook division fell by a third in the latest quarter to $51.7 million. Net profit rose to $80.3 million, or $1.04 per share from $72.2 million, or 96 cents per share, a year earlier. Analysts had expected earnings of $1.08 per share. Up to Wednesday's close of $10.23, Barnes & Noble's shares had fallen about 17 percent since the start of the year.